Create a visual, precise and attractive Gantt chart for PPT at ease. A Mac & Windows Gantt chart maker allows users to make Gantt chart from templates and export to PPT file with a single click. Sometimes we need to show a Gantt chart in PPT, but the PowerPoint isn't that functional to make a Gantt chart. 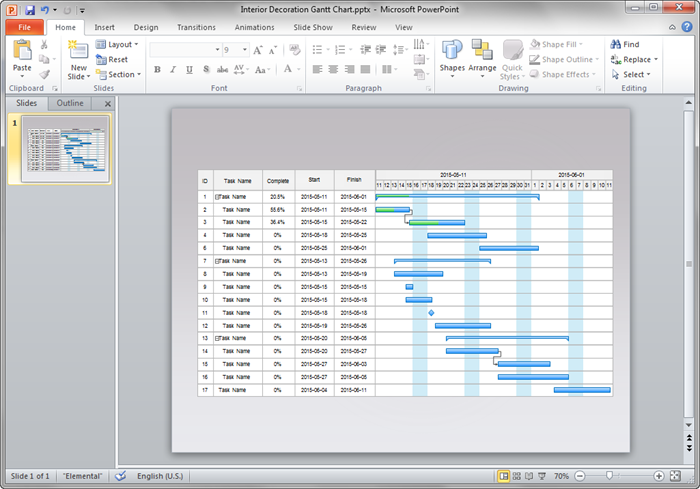 In this situation, it's better to use a more powerful tool to create professional Gantt chart and export to PPT file. The software contains pre-made templates that makes build Gantt chart fast. It has a straightforward users interface which can run on Mac, Windows and Linux. Track how much time is spent on what tasks and for which clients in a project. Open a Gantt chart drawing page from the Project Management category. 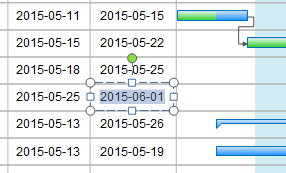 The pre-defined Gantt chart templates will appear automatically on the left of the canvas. Drag a chart and place it on the drawing page, and follow the pop-up dialogue to set time options. Double click on default area to edit start and ending date, or drag the end of the task bar to change the length of the bar. Drag the beginning of the task bar to set complete rate. Apply a theme, title and background for the Gantt chart. Edraw enables users to make a Gantt chart through simple clicks, and export to PPT file seamlessly. 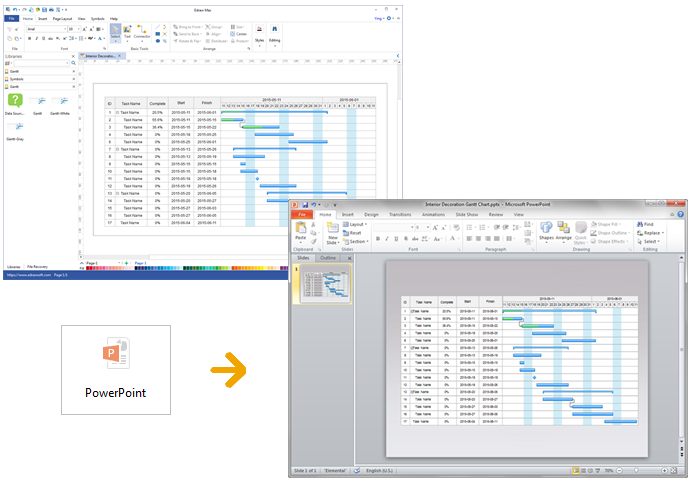 Creating a Gantt chart in PPT is just one more click away: go to File tab, click Export button and choose PowerPoint to save your file as PPTX format. It supports PowerPoint 2007, 2010 and 2013 versions. The exported Gantt chart will keep vector feature in the MS PowerPoint, but some buttons and shapes will lose its functionality in the PPT. Discover why Edraw is the best software to create Gantt chart. Try Gantt Chart Software FREE.